At first, Hitoshi Kai wanted to become a doctor of tropical medicine, but he had to interrupt his studies in his final year because his parents’ house burnt down. After that he never made it back to university because he became engaged with the Vietnam War and Chernobyl later on, and he wanted to do something practical for the victims. So he earned a living as a math tutor and volunteered with various relief projects of the Junod Association. 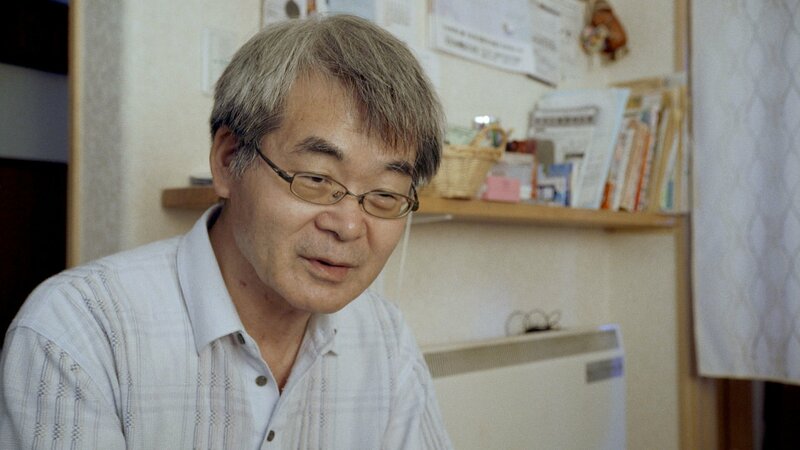 He never experienced the atomic bomb himself, but has dedicated many years to the victims of atomic catastrophes. The office of the Junod association is located in a residential building next door to Uchida’s house in the town of Fuchu (Hiroshima prefecture). The Junod Association depends on donations and works under very difficult conditions. In spite of that, its members have made considerable achievements at least in Chernobyl. And now, after the reactor accident in Fukushima, association members are faced with their greatest challenge to date. Shortly after the reactor accident, Hitoshi Kai told me on the telephone that in the present situation not much could be expected from the physicians in Fukushima. However the experiences collected over decades from Hiroshima victims and doctors are of great value and these should be built on.